To grow healthy plants, you need to give them the right quality and quantity of light. Commercial grow lights are specially made to provide the right wavelengths of light, but you can get the same results using a mixture of cool-spectrum and warm-spectrum fluorescent tubes. 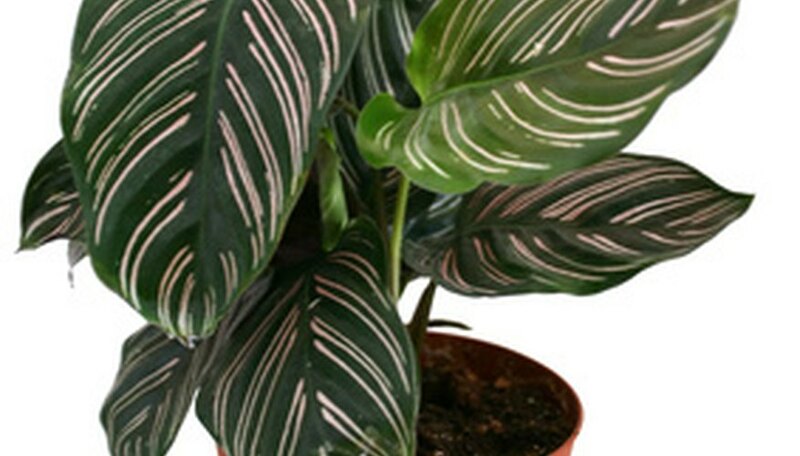 Getting enough light to the plants is a matter of keeping the light as close as possible to the plant, using reflectors to focus the light and controlling the length of light exposure. Build a frame to support the lights or mount them under a shelf, inside a cabinet or similar supporting structure. Use online plans to build an inexpensive frame from PVC pipe (see Resources). Attach hooks to the grow light fixture and to the support structure. Hang a shop light fluorescent fixture from the support by catching the chain through the hooks. Line the back of the light support with aluminum foil or a mirror to reflect light onto the plants. This is optional, but increases light on the plants. Install the fluorescent bulbs or grow lights. If you're using fluorescent bulbs, use a mixture of cool-spectrum and warm-spectrum bulbs. Place a drip pan below the fixture to catch water runoff from potted plants. Put layer of gravel in the pan to hold water and increase humidity around the plants. Arrange the plants on the drip pan and turn on the lights. Allow a few minutes for the lights to warm up, then place your hand at plant height to gauge the heat level. Move the light fixture up or down by adjusting the chain, placing the light as close as possible to the plants without burning them. Provide a fan for ventilation if you have several lights and heat is building up. This is especially important if the lights are in cabinets or small, closed spaces. Install a timer to turn the lights on for 16 to 18 hours per day. Longer exposure helps make up for the lower intensity levels of artificial light, but a night period is important as well. Plants do better if you turn the lights on and off at the same time every day, and a timer automates this, but is not necessary. Adjust the light fixture upward as the plants grow, keeping the light as close as possible to the plants without burning them.